Rodents are species that have sharp teeth and a habit of cutting something most of the time. Rats, mice, squirrel are among them. squirrels are cute and adorable but not a guest to welcome home. A simple search of shelter and food these pests will do a big harm to your commodity. It can be like spreading diseases or destroying assets. The production of rodents is very fast. Afterbirth a rodent becomes almost full-brown within weeks. They will create noises over the accommodation once they settle in. If you are confirming that rodents are there then do not hesitate any more just call us for our rodent control service to keep them out. The Cricetidae, Capromyidea, Castoridae, Erethizontidae, Dipodidae, Muridae mammal family are the most common families of Rodentia. However, they are divided into several families. Muried is the largest among all of the families of Rodentia. The Muridae family have many subfamilies and also have species of sand rats, crested, gerbils. The ancient world mice and rats are also within this group. Rodents are like humans. Ohh! don’t get upset. The common part is we all are mammals. Rodents are homotherapic mammals. This type of mammals is found all over the world. Rodents have two types of teeth. One is outsized teeth and cheek teeth. Outsized teeth are used for growing and cheek teeth are chewing. Rodents cuts and make holes for anything they come across. They are the injury maker of household things. It is not easy to handle this wild pest. They are not a mere pest. They are equipped with big teeth for biting. They also have large nails to scratch. The feces, little and excretory product can spread a variety of viruses, microorganism, and diseases. So to destroy them from your surroundings you need an expert help or rodent control service for us. While you will find the trace of rodents around you definitely seek an expert help. You can try out our service package for that. If you need our help on this matter we will come immediately for the investigation. After the identification of the species, we will select the plan and process of fighting them. Then is the time for action. Our experts in rodent control service are the best in Dhaka, Bd. Searching for Rodent control service near me through google will lead you to us. We also offer you an after service to maintain the clean environment. While this service if we get any sign of rodents then it will be destroyed immediately. We have such expert team of rodent control service in Dhaka, Bangladesh that they can handle any tough rodents for you. We are going to keep rodents out of your premises. We will even stop the gaining access to rodents in your house and gradually repair the harm in the structure of your house caused by them. Any kind of harm done by rodents is going to solved by our expert team.Whatever leaves a sign of rodents will b removed by us. So do not waste any time anymore if you have rodents in your home. 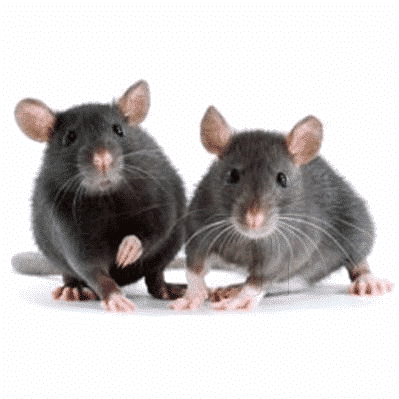 Just call us for help to avail rodent control service for you. We do google adwords marketing, facebook marketing, youtube advertisement for a reputed it service firm in Bangladesh for rodent control service.